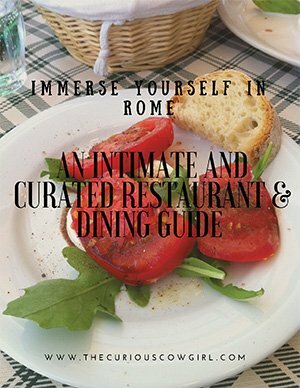 Rome is a city of endless wonders, and after several trips to the Eternal City, there’s so many sites I want to explore. 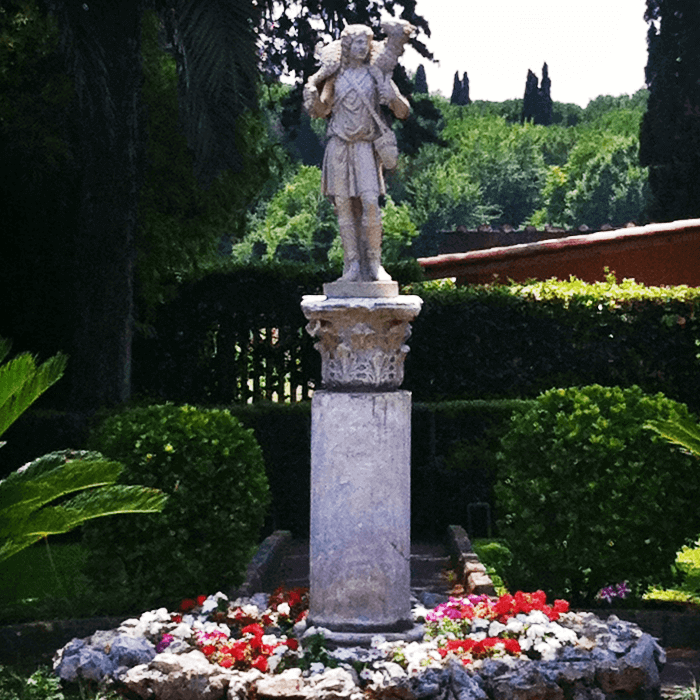 A few years back, my husband and I spend a day on a walk along the Appian Way. Possibly the oldest road still in existence, it was ancient Rome’s most important military and economic artery and it’s largely intact today! The Appian Way was a significant road for the Roman Empire, connecting Rome to some of its most distant territories. Originally built by Appius Claudius Caecus, it was the widest and longest road in existence at the time. Called the “Queen of Roads,” it’s construction was truly amazing, considering it was built in 312 BC! 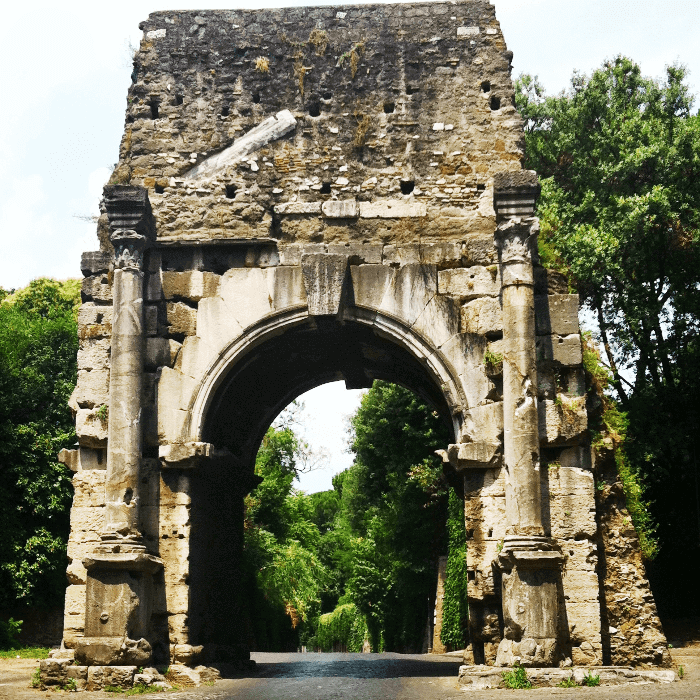 Eventually about 30 other roads fanned out from Rome, making sense of the saying “all roads lead to Rome.” However, the Appian Way was the first and greatest, another a testament to the might of the Roman Empire. A walk along the Appian Way reveals an incredibly well-preserved road made of large, flat stones, which have been reinforced by years of rain, wheels, and millions of feet passing over them. When you take a walk along the Appian Way, you are walking in the footsteps of Roman emperors, saints and maybe even St. Peter himself!. Julius Caesar walked it along with thousands of other soldiers, and Christian converts were buried along the route. Domine Quo Vadis Church. Legend has it that this is the spot where Peter saw a vision of Christ. 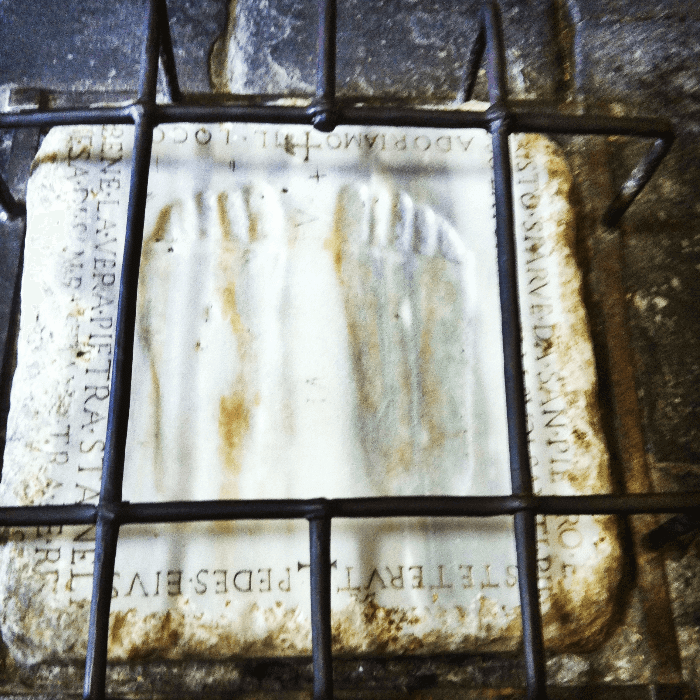 Two major Christian catacombs are located on your walk along the Appian Way, the Catacombs of San Sebastiano and the slightly larger Catacombs of San Callisto. 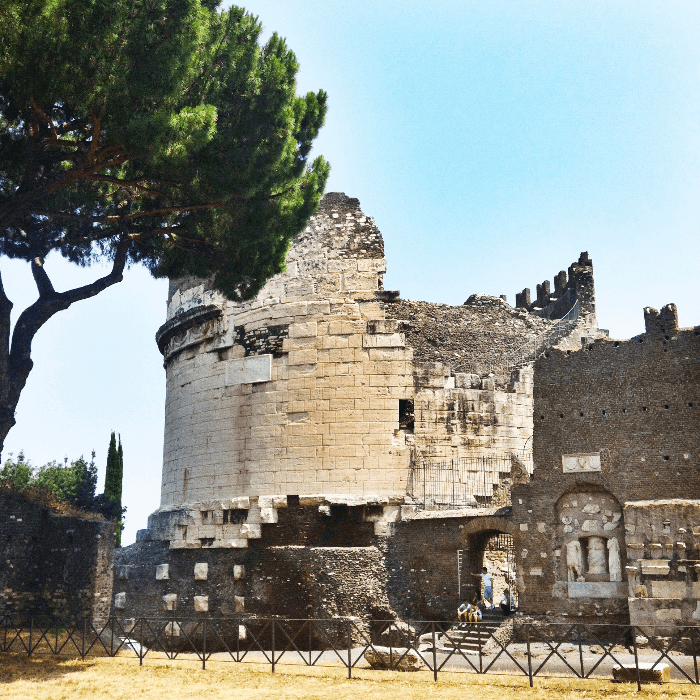 Absolutely worth your time, but they are not open on Sunday, when the Appian Way is closed to traffic. The Appian Way sits outside the city. 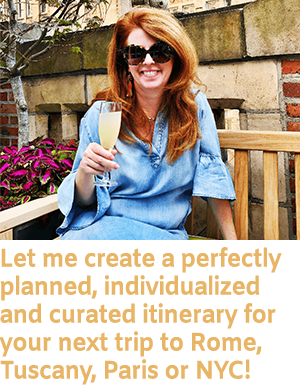 But don’t worry, with a little planning and patience for Rome’s public transportation system, you can spend a lovely day on the Appian Way. 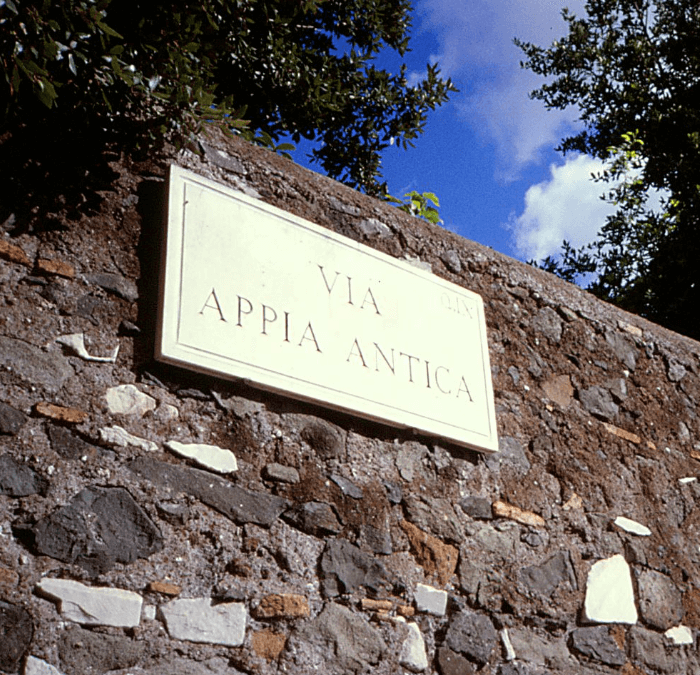 I read several guide books for suggestions for a walk along the Appian Way. We decided to take a cab to a small café at Cecilia Metella where bicycles can also be rented. We purchased waters and sandwiches. From this location back to the Arch of Constantine in Rome, plan on a ten-mile walk. Needless to say, really comfy shoes, a hat, and sunscreen are important!!! The entire park is closed to traffic on Sundays, making it a prime day to visit. This is definitely the best way to bike or walk the ancient Appian Way, as other days of the week the road is clogged with cars. 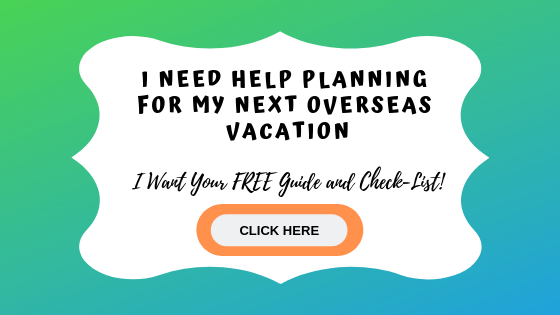 For a wonderful guide resource for your next trip to Italy, click here. 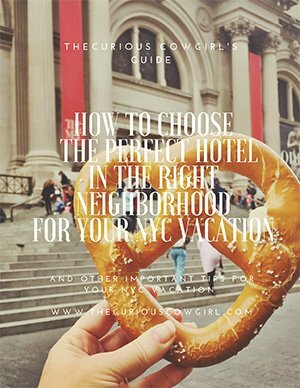 And for additional information to help you plan your next visit to Rome, check out this post!